Music Biz 2018 – the Music Business Association’s 60th anniversary conference brought together global power players along with industry leaders committed to the future of music monetization for 100+panels, presentations, workshops, private meetings, cocktail parties, live music and more. From May 14 through 17 – Music Biz 2018 presented a packed schedule of diverse and instructive seminars with a focus on Analytics, Artist Development, Branding, Finance, Licensing, Management, Marketing, Metadata and the hottest topic – Streaming. The event was educational but also entertaining with meals and meet-ups allowing attendees to network. 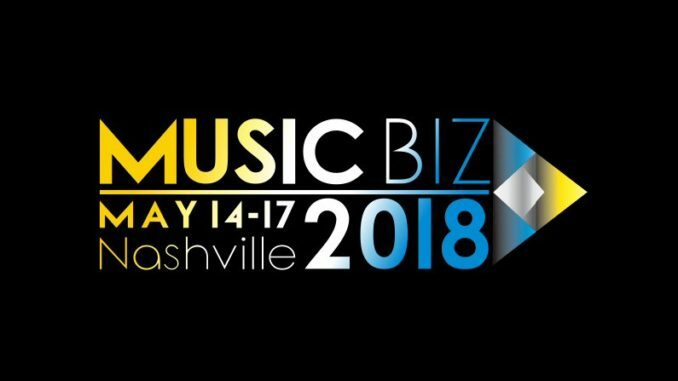 Music Biz 2018 was held at the Omni Hotel at 250 5th Avenue in Nashville, Tennessee. The up-scale lodging is in walking distance of Broadway where quality music can be heard at most Downtown establishments. The Country Music Hall of Fame along with other fine museums are also in close proximity. “Music’s Leading Ladies Speak Out” on May 15, 2018 celebrated and featured some formidable women in the industry who encouraged those looking to break into the biz with a forum to share ideas and discuss ways to overcome and eliminate inequality. 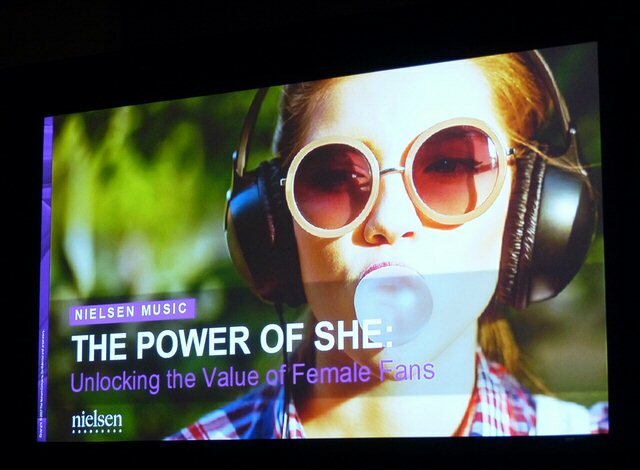 Nielsen Music’s Erin Crawford kicked off the “Leading Ladies” program by sharing her analytics on the growing influence of female fans in the modern music world as she stressed the importance of reaching these streaming consumers. Next, Wendy Goldstein who helped launch the careers of a number of major acts and Wide Eyed Entertainment founder Beka Tischker discussed Julia Michaels who is 2018’s Breakthrough Artist. The two knowledgeable women conversed on career development with a focus on Julia’s path as an example. One of their key points was keeping an eye on the bigger purpose which is solid advice in any industry. The next power panel featured Marcie Allen, President, MAC Presents, Marlene Tsuchii, Co-Head of International Touring & Music Agent, CAA, Kelli Turner, EVP of Operations, Corporate Development & CFO, SESAC and Janet Weir, Manager, Maren Morris, 42 Entertainment/Red Light Management. All four ladies spoke about the challenges they faced and current trends. They reminded the packed room that the music industry is still small, so be mindful of how you represent yourself. They also shared that there are opportunities in artist management as many women are already working in this side of the biz. The keynote artists of “Music’s Leading Ladies Speak Out” showcased Dolly Parton and Linda Perry. Parton and Perry recently collaborated on the upcoming Dumplin’ soundtrack on Dolly Records/RCA Nashville (film directed by Anne Fletcher, starring Jennifer Aniston and Danielle MacDonald). Dolly as one might expect was energetic yet also enthusiastic about this project as she feels strongly that self-confidence is so important for all but especially young girls. Linda although less exuberant also came across excited about the soundtrack but joked that now she did not want to work with anyone other than Dolly due to the star’s stellar ethic. Interestingly, the two were commissioned to write one new song for the film as some of Parton’s music was already a part of the movie. When Parton and Perry sat down they just clicked and more tracks were written. Just hearing Dolly and Linda talk about their partnership left us wanting to see Dumplin’ and hear their work. In a two hour span “Music’s Leading Ladies Speak Out” covered a number of important subjects while touching on the topic of inequality and how to combat it. The name of this session could not be more appropriate. Artists and executives alike have come forward to demand that all voices are heard and to call for an immediate transformation of the entertainment industry. “Music’s Leading Ladies Speak Out” celebrated the careers of a stellar line-up of speakers as it showed how women can push the boundaries to bring equality to the business. We found “Music’s Leading Ladies Speak Out” to be informative and inspiring.